Kopi holidaying in Langkawi, Malaysia! 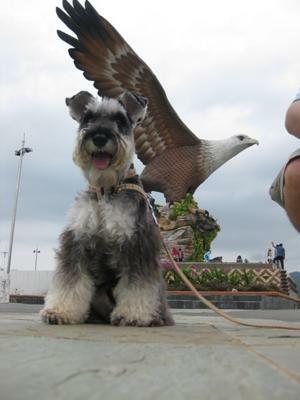 Kopi, a Malaysian Chinese furkid took a flight and went on a holiday in Langkawi, Malaysia. Had to snap a picture of him with the famous island's icon, Eagle at Lang Square. Comments for Kopi holidaying in Langkawi, Malaysia! What a beautiful Photo !!!! So very Handsome !! !